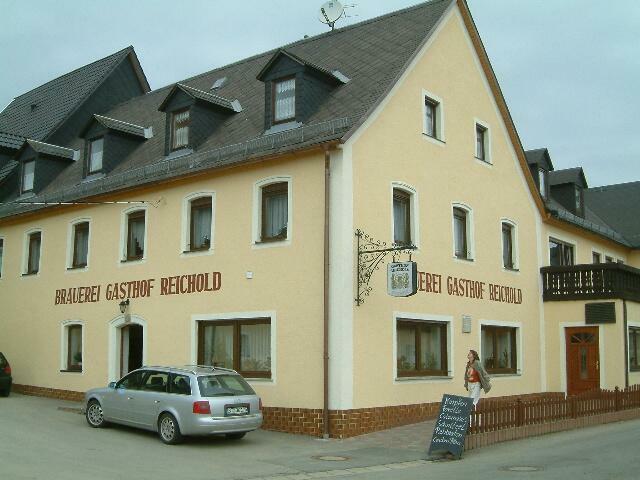 A rural brewery in a slepy hamlet. Solid beers with dark yellow colour. The Vollbier is soft with a dry aftertaste. The Bock is sweetish, fruity and warming and dries out as well. I liked the Kellerbier and Weizen less. Visited this place on a sunny Sunday as part of a beer walk to four breweries in this area. Both beers on tap here were somewhat dark, both just fine for me. I've driven by this place many times, and never have seen it so packed. Despite that, service was actually pretty good given the number of people there and our food came quickly. This place was very much on the motorcycle circuit and at least half of the customers were arriving on motorcycles. This made it quite loud at times. But a nice, thriving, brewery on a summer day overall.